With brewpubs galore in Osaka, it’s a surprise that Beer Pub Ichi-ya is one of very few in Kyoto. It offers up some cheap, and drinkable, craft beer just off the beaten track in Kyoto’s busy Kawamachi area. The food may not be up to everyone’s standards; however, it was pretty spectacular to see Beer Pub Ichi-ya’s speciality of the eight item otsumami platter being served. The whole place is non-smoking, has no table charge, but tax isn’t included in the prices. They also speak English too but when you’re just on the outskirts of the busy tourist area, then I guess it makes sense. Beer Pub Ichi-ya also offers up free WiFi too. Ichijoji Brewery, having opened in June 2011, has been selling their wares across the Kansai area in bottles, with the occasional keg making it out of the area once in a while. With their beers proving to be so popular, Beer Pub Ichi-ya was opened in August 2016 in the Kawamachi area of Kyoto. It’s also one of the few places in Kyoto where you can drink craft beer from the early hours, being open daily from 11:30am. Located about five minutes from Kawaramachi station, it can be a pain to get to Beer Pub Ichi-ya, due to the crowds. On the day I went, I had to mingle through a slow moving mass of Chinese tourists that somehow seemed to be moving, yet also stationary at the same time. After what seemed like 20 minutes, I managed to get through the busy fishmonger street in Nishiki market, vowing never to take that route again. Beer Pub Ichi-ya has plenty of space inside its wood-adorned interior, with 8 seats at the counter, and then another 15 tables dotted around that could seat 45 – 50 people. The whole place is non-smoking and there is no table charge either. Result. There are 10 taps of craft beer on at Beer Pub Ichi-ya, with the majority being from Ichijoji Brewery. There were also a couple of guest taps as well, but these were priced the same as the in-house brews. Nice to see that considering some taprooms charge more for guest beers. The beers come in two sizes – small (270ml) at ¥600 and large (420ml) at ¥950. There is also a three beer tasting flight, which gets you any 3 x 180ml beers on the menu for ¥1250. None of the prices include tax, so remember to add that in at the end. The in-house beers aren’t bad, with the yuzu weiss being my particular highlight. There is also a small happy hour of a small beer and snack for ¥1,000 until 7pm. 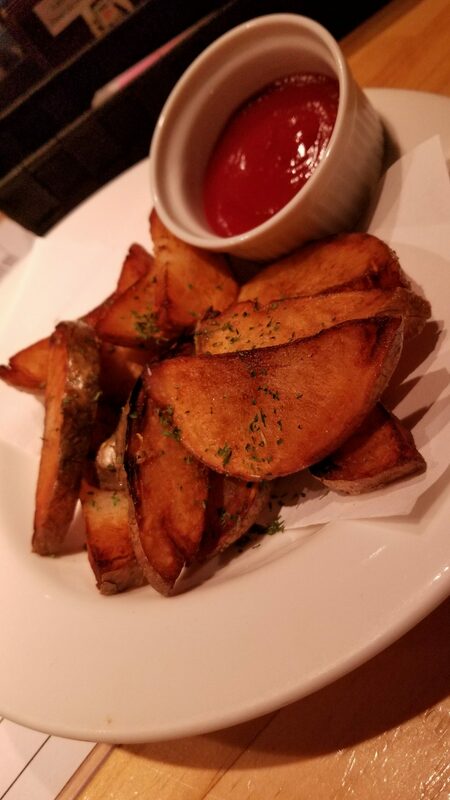 The food at Beer Pub Ichi-ya was made in conjunction with a local kaiseki restaurant, though they still have the BeerTengoku favourite of chips on the menu. There are also some smaller fried dishes on the go, and they will also readjust the dishes if you’re vegetarian too. Happy Hour: a small beer and snack for ¥1,000 until 7pm. The closest station to Beer Pub Ichi-ya is Kawaramachi on the Hankyu Railway. It’s about a five minute walk from exit number 9.